Hansel and Gretel is one of our Favorite Fairy Tales. 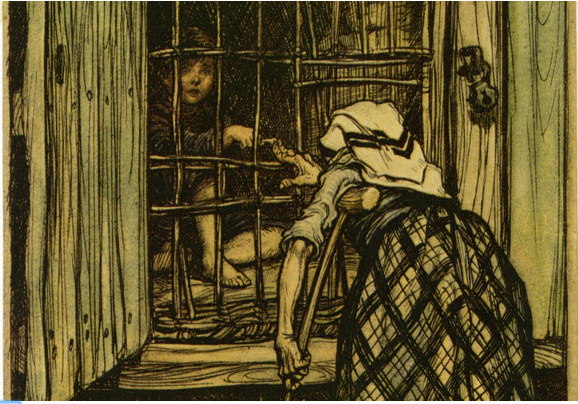 But Gretel saw what she had in mind, and said, "I do not know how I am to do it. How do I get in? "<> "Silly goose," said the old woman, "the door is big enough. Just look, I can get in myself." And she crept up and thrust her head into the oven. Oh. Then she began to howl quite horribly, but Gretel ran away, and the godless witch was miserably burnt to death. 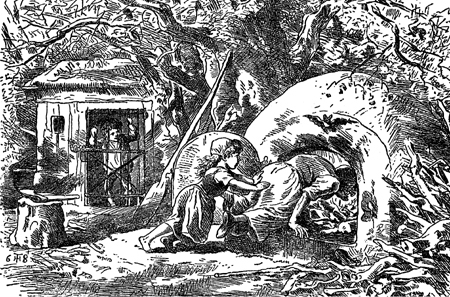 Gretel, however, ran like lightning to Hansel, opened his little stable, and cried, "Hansel, we are saved. The old witch is dead." The good little duck did so, and when they were once safely across and had walked for a short time, the forest seemed to be more and more familiar to them, and at length they saw from afar their father's house. Then they began to run, rushed into the parlor, and threw themselves round their father's neck. The man had not known one happy hour since he had left the children in the forest. The woman, however, was dead. 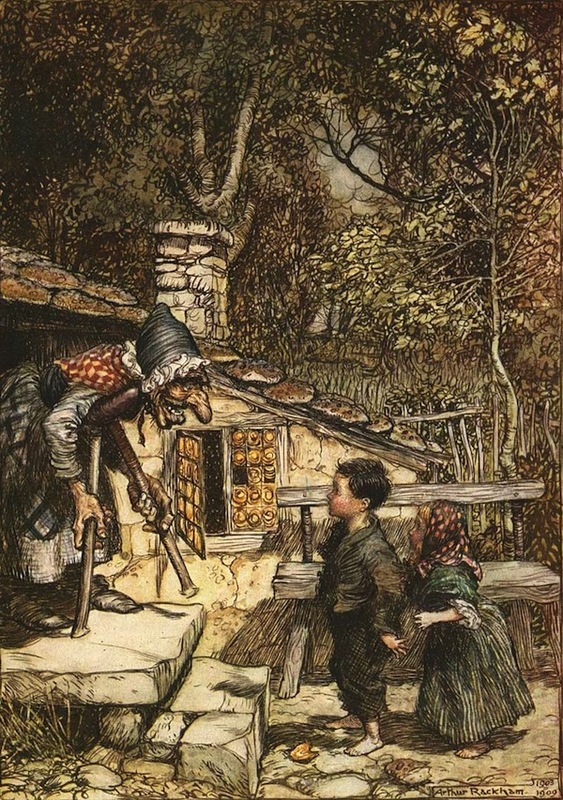 Gretel emptied her pinafore until pearls and precious stones ran about the room, and Hansel threw one handful after another out of his pocket to add to them. Then all anxiety was at an end, and they lived together in perfect happiness.